The New Star 2 is a Sega Mega Drive console clone originating from China. 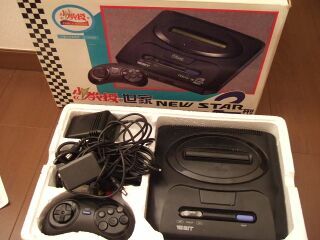 It is an almost exact copy of the Japanese Mega Drive II which never officially made it to the country and was released by "New Star Electronic Co." in 1995. The package comes with a six button controller and a manual entirely in Chinese. The console itself lacks the New Star 2 branding.